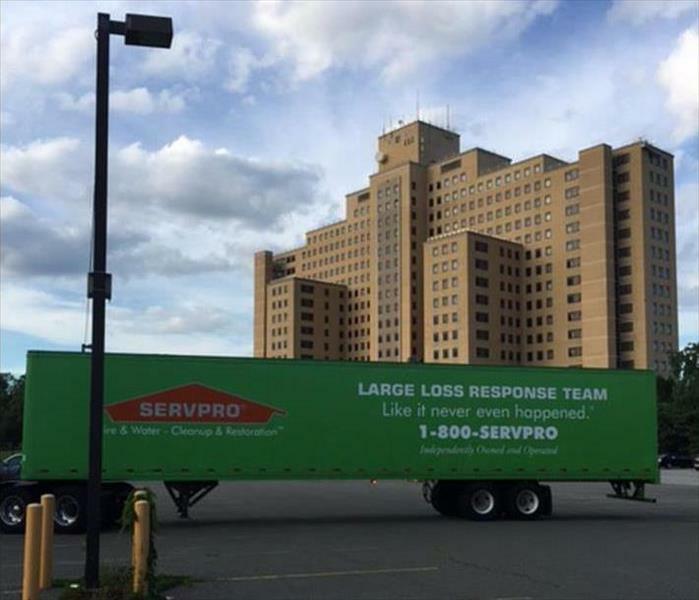 This Photo illustrates the great lengths that SERVPRO goes to mitigate water damage in a Large Loss situation. Our Green Fleet, stocked with advanced equipment and products and manned by highly skilled technicians who can leap tall buildings at a single bound (well, almost) responded to this water flooding incident at Creedmore Psychiatric Hospital in Queens Village, NY. 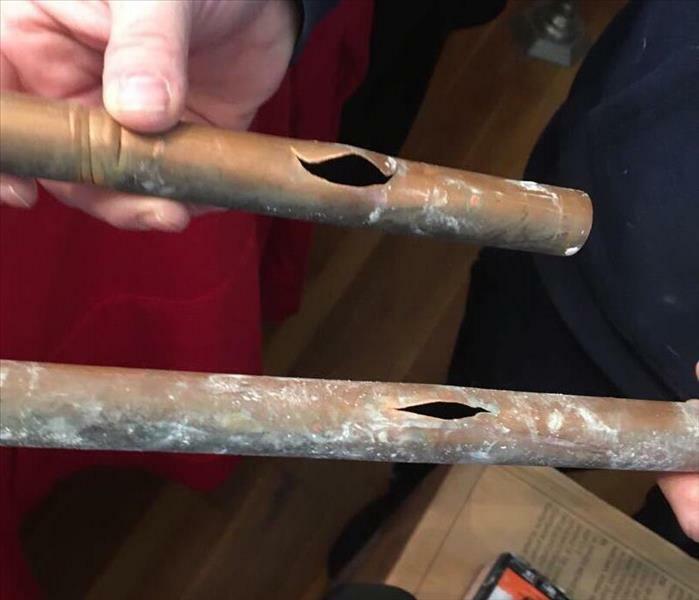 A failed sprinkler system head resulted in a flooding of several floors in a vertical tower. Our rapid response team assessed and executed the removal and drying to preloss conditions "Like it never even happened." 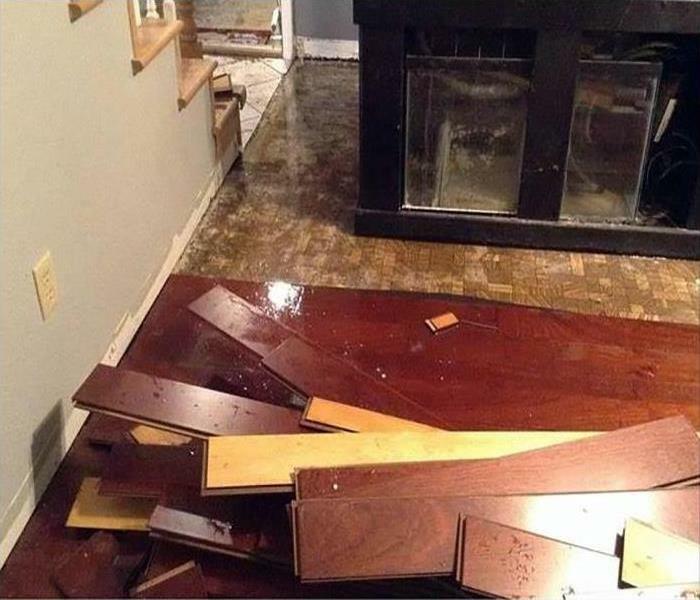 If water has damaged your Hicksville home, our experts are here to help! Our water damage technicians are standing by 24/7 and are Faster to Any Size Disaster! SERVPRO of Hicksville / Plainview has the training, state-of-the-art equipment, and water damage experience to restore your home to pre-damage condition. SERVPRO of Hicksville/Plainview restorers in an environment where health and safety concerns arise are require to wear Personal Protective Equipment (PPE) This helps protect our technicians from the many hazards associated with contaminated water, biohazard etc. SERVPRO of Hicksville/Plainview manipulate and control as many factors as possible in our drying system to produce the most efficient drying. Increasing airflow across wet surfaces. Evaporated moisture must be removed from the affected areas by dehumidification or ventilation. 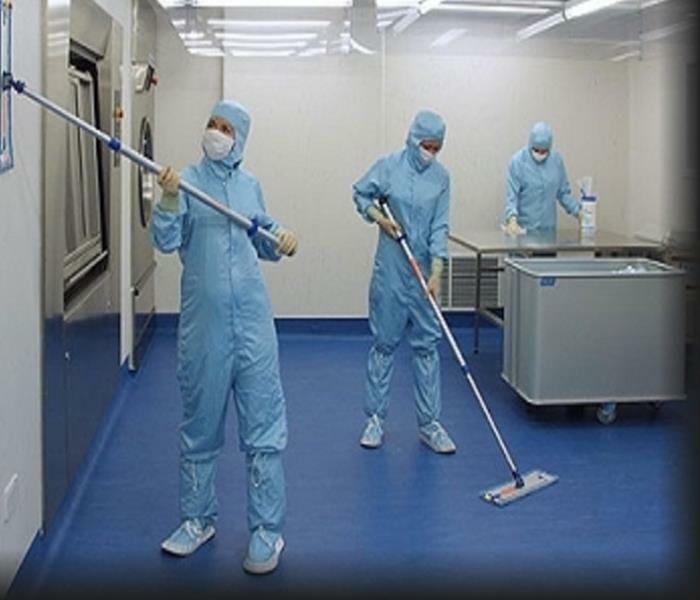 Sterile environments required for special circumstances – hospitals and ‘clean-rooms’. Special chemicals, equipment & procedures required to achieve. In any cleaning situation call in our SERVPRO professional to make it "Like it never even happened." At least 95% of soils & contaminates removed, pathogens eliminated. Requires special chemicals, equipment, procedures to achieve. 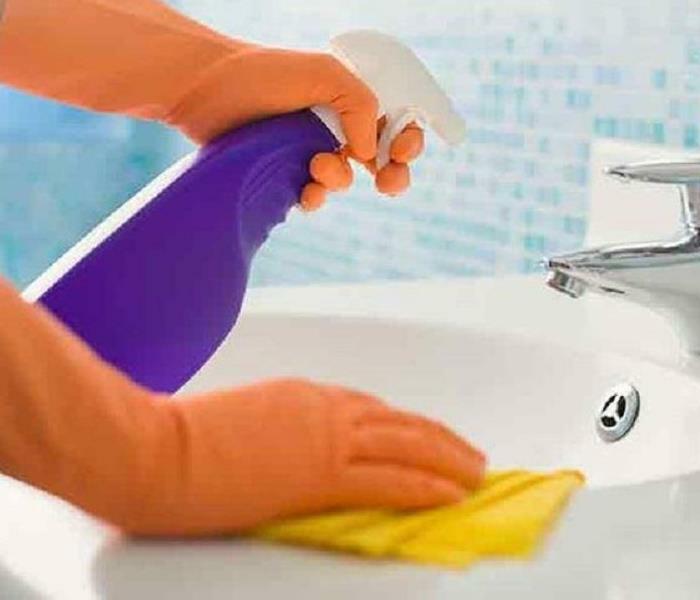 Call us if you need a hand with any level of cleaning! Enough soils and contaminates removed to protect general health. A ‘clean’ environment is sanitary. 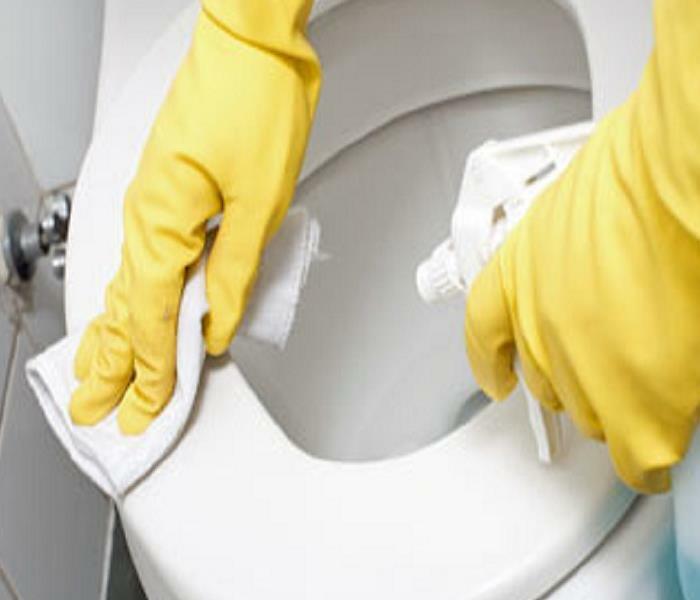 Cleaning must always achieve at least a sanitary level. Requires extraction & containment of soils. 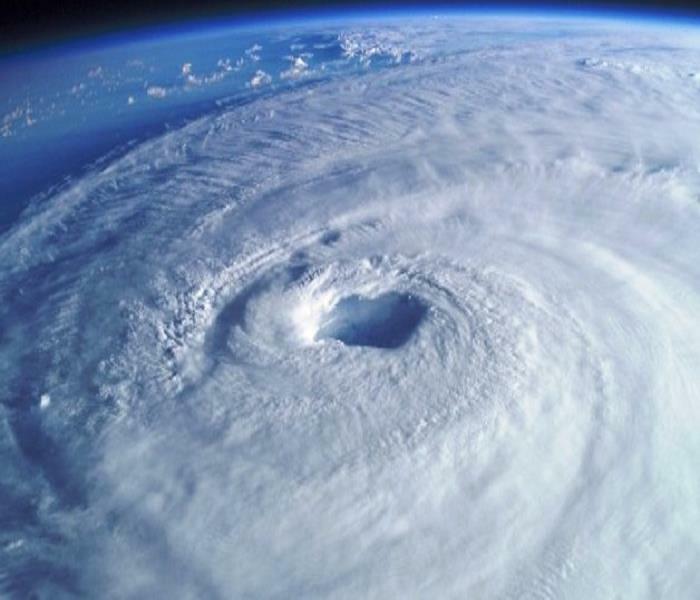 Scientists from the National Oceanic and Atmospheric Administration (NOAA) today May 24, 2018 released their forecast for this year's Atlantic hurricane season, predicting a near normal or above normal season. What does that mean? Well.... The forecasters predict a 70 percent likelihood of 10 to 16 named storms with winds of 39 mph or higher. 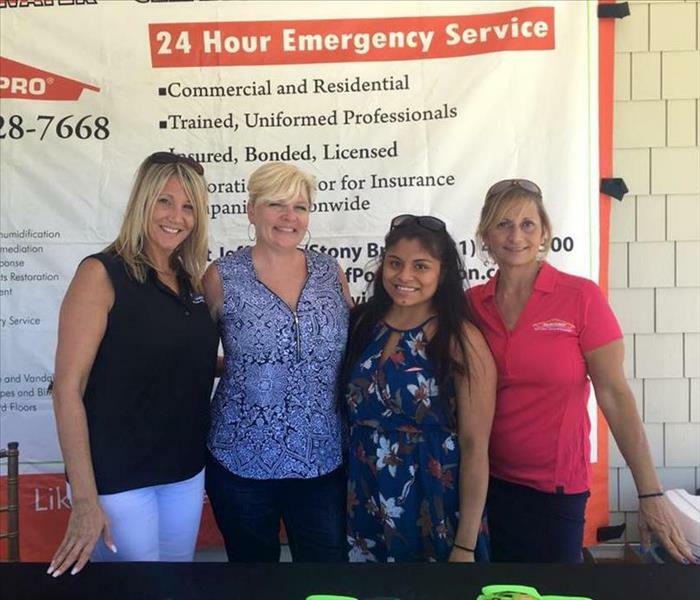 Our SERVPRO of Hicksville/ Plainview ladies Supporting Tri-County Independent Insurance Agents Association back in October for the annual Oktoberfest in support of Susan G. Komen Breast Cancer Foundation. We were proud to support the cause as well as the association . • Put a lid on a grease fire to smother it, then turn off the heat. Baking soda will also work. • Never throw water or use a fire extinguisher on a grease fire. Water will only spread the fire and the force of the extinguisher can splash flaming grease out of the pan. • Wear short or tight fitting sleeves when cooking. Loose fitting clothing can easily catch fire. • If your clothing catches fire, STOP, DROP & ROLL to put out the flames. Put burns in cool running water. Call 9-1-1 for help. • Keep pot handles turned inward to prevent accidental spills of hot contents. 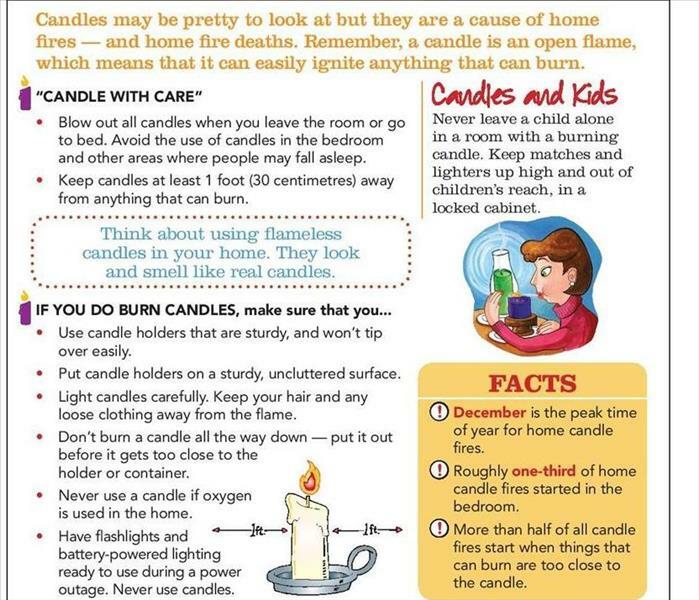 • Create a three-foot “child-free zone” around the stove. Keep children and pets away from the stove while cooking to prevent burns and scalds. 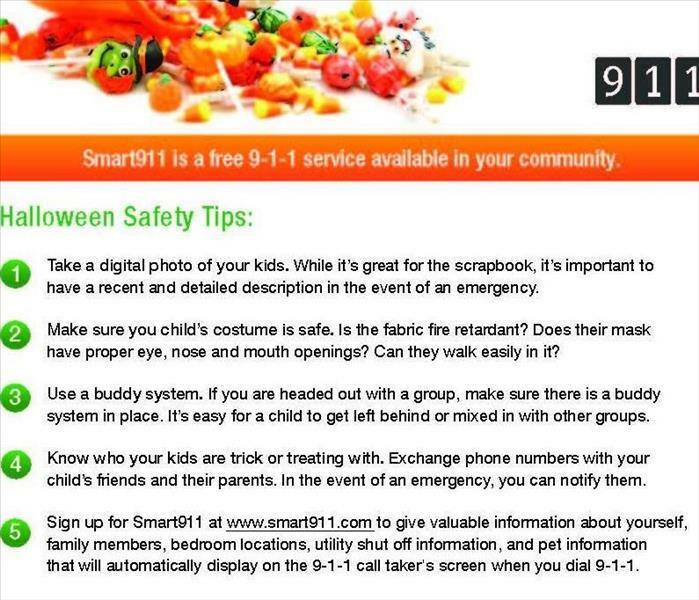 Is Your Family Smart About Halloween Safety? 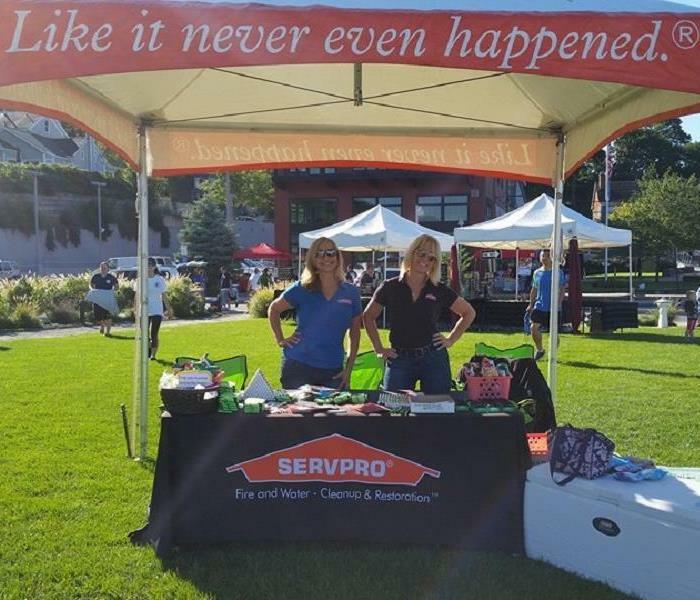 Risa Kluger, Owner of SERVPRO of Port Jefferson/Stony Brook & Hicksville/Plainview & Serina Allen volunteered to attend the Summer Concert Series August 30, 2016. On behalf of the Rocky Point Lions Club. Ending the Summer Right. 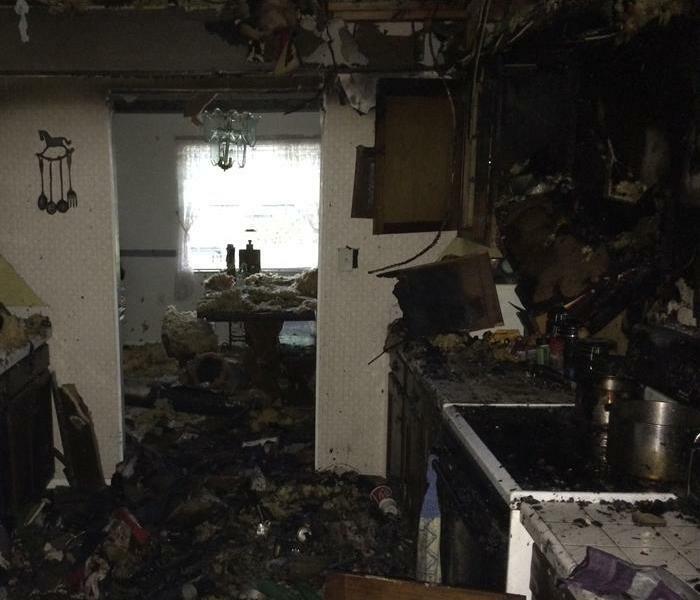 This was the aftermath of a kitchen fire in Hicksville when we arrived on the scene. There was significant smoke and soot damage. The owner couldn't believe how quickly and completely we were able to clean the soot from the walls and ceiling. We make disasters "Like it never even happened." 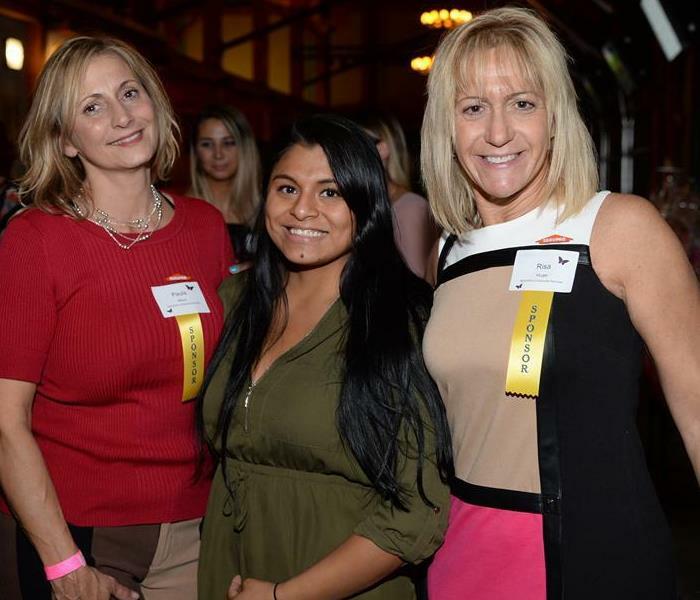 A few of SERVPROs finest Women attending the TriCounty Agents Installation Diner at the Chateau Briand. SERVPRO would also like to Congratulate James Bastian, Advantage Partners, Inc., as he begins his term as President of TriCounty Independent Insurance Agent. 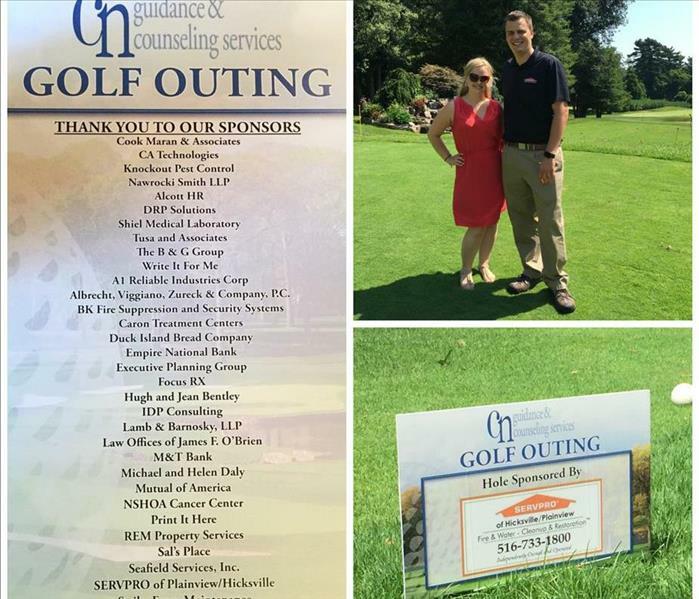 Today, James Feustel a Production Manager for SERVPRO of Hicksville/Plainview attended Central Nassau guidance & counseling services annual golfing outing. The golf outing provides essential funding to CN Guidance & Counseling Services for the over 2,000 children, adults and families they serve annually. 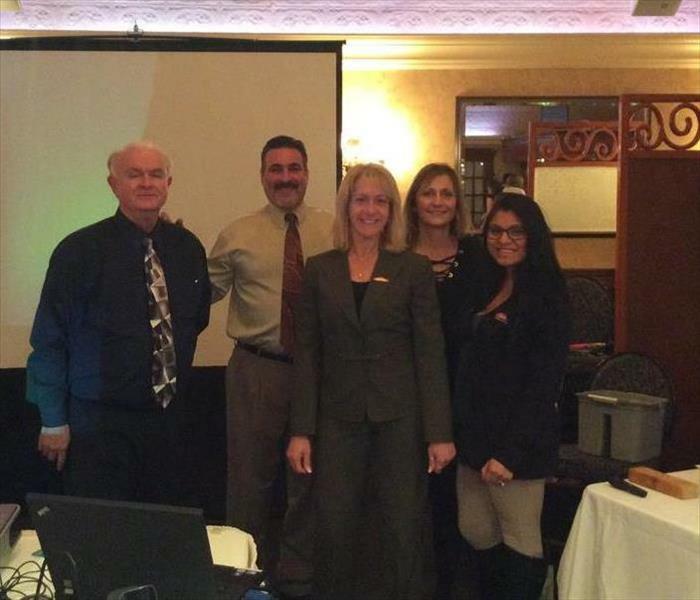 Paul Mauro of SERVPRO of Hicksville/Plainview is an American Red Cross Community Relations Ambassador. 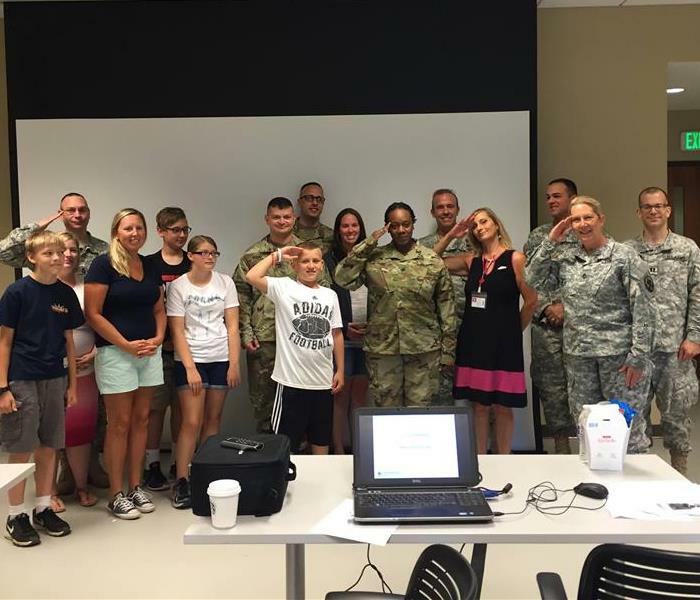 This past weekend she attended the Army Reserve, first battalion in Farmingdale, For a seminar on Annual Training Emergency Services. Our SERVPRO of Hicksville / Plainview Team Presented an Emergency Readiness Seminar to local town constituents at the Hicksville- Old Bethpage Library. Be on the lookout for our Seminars in the future. 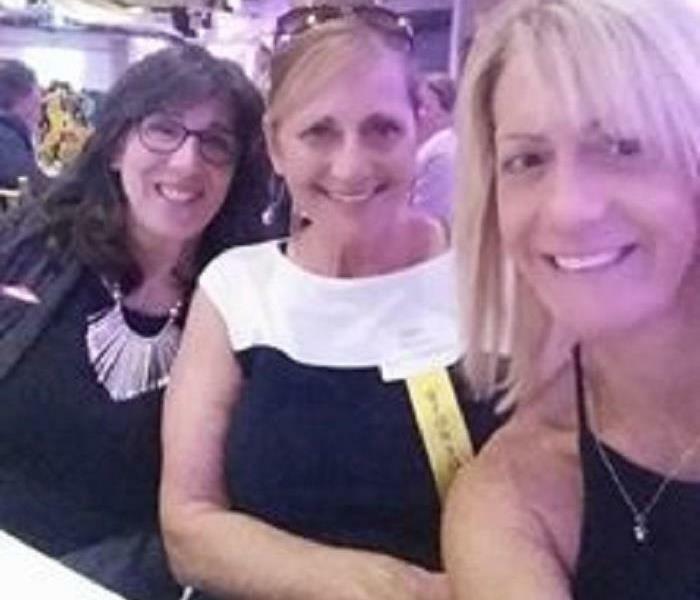 Risa Kluger, Franchise Owner of SERVPRO & Paula Mauro Marketing Manager, attended PIA Annual Conference at Harrah's Casino Resort in Atlantic City, N.J. June 5-7. We made a lot of great connections. Today SERVPRO of Hicksville/Plainview & Port Jefferson/Stony Brook attended Independent Agent & Brokers of Suffolk County Annual Golf Outing Benefitting The IIABSC Scholarship Endowment Fund at Stony Brook University College of Business. We met some great people & had a wonderful day for a good cause!